Confronted by shocking numbers of overdose deaths and addicts at risk, lawmakers had an opportunity to make meaningful – and, many say, necessary – changes. They didn't. In late April, Rosanna Boyce stood before members of the Legislature’s Health and Human Services Committee. She spoke candidly about how she became addicted to heroin at 18 after first being introduced to opioids through a prescription. She told them how she struggled mightily with her addiction for years and about how, if not for Suboxone, she might still be struggling, or – like so many others – dead. Boyce, testifying in support of four separate bills that had been drafted to tackle Maine’s opioid crisis, implored lawmakers to fund treatment aggressively and support policies that address addiction with compassion. She had never spoken about her struggle in such a public way but agreed to do so after meeting state Rep. Karen Vachon, who told her that the voices of real people could move legislators to act. More than two months after Boyce’s testimony, though, as the 128th Legislature’s session draws to a close, none of the bills she spoke in favor of passed. Following 2016, a year in which 376 people died from drug overdoses, the highest number ever recorded and a 114 percent increase in just four years, the Legislature accomplished little to reverse the deadly trend that has threatened an entire generation. This spring, the Portland Press Herald/Maine Sunday Telegram published a 10-part series exploring the state’s opioid epidemic, which has reached communities large and small and families poor and affluent. It found that Maine’s signature lobster industry has been hit especially hard and women are at greater risk because of a lack of services. It found that despite some efforts to address the problem, there remains a critical need for more treatment, especially for the uninsured. And it found that stigma and shame still exist as boulder-like barriers to progress. After pledging to make the opioid crisis a priority, lawmakers again failed, even in passing simple laws that many other states have had in place for some time. Of the approximately 30 bills drafted to deal with some aspect of the crisis, most never even got a vote in the full House or Senate. Some, which had price tags, were placed on something called the Special Appropriations table, where bills often go to die because lawmakers writing the budget can’t find ways to fund them. Some were carried over into the next session, which is months away. Some bills were vetoed by Gov. Paul LePage. The few that did pass tightened opioid prescription practices and created an exemption for long-term prescription opioid users, but they didn’t address treatment or harm reduction. One bill – making it legal for people to buy the overdose drug Narcan in pharmacies – was needed to fix a law that passed more than a year ago but never went into effect. Many were opposed by the Department of Health and Human Services, whose representatives signaled to lawmakers this spring that more investments were “unnecessary,” even though the state’s recent investments have really only offset past cuts in services. Vachon, a two-term Republican from Scarborough, has become a strong advocate for policies that don’t often align with members of her party. She drafted several bills this past session, including an ambitious proposal to create a centralized hub-and-spoke treatment model, similar to one in Vermont, to steer people struggling with addiction toward the treatment that best fits their needs. Another bill sought to increase state funding for addiction treatment, mostly medication-assisted treatment, by $6.6 million annually. Still another would have established a good Samaritan law so that when someone sees a person overdosing, they can call 911 without fear of being charged with a crime when emergency responders show up and see evidence of drug use. Malory Shaughnessy, executive director of the Alliance for Addiction and Mental Health Services, said she had hoped that lawmakers might make meaningful progress this session but that hope faded as time wore on. Two of Vachon’s bills were carried over into the next session, which begins in early 2018. She also serves on the latest state task force created to address the crisis, which meets again in July and is supposed to bring forth recommendations. The opportunity to act is still there, Vachon said, yet every month that passes means more people at risk of overdose and more people struggling to find treatment resources. Lawmakers convened in January pledging to make the opioid crisis a top priority. But even early on, it was pushed aside in favor of other legislation and, more recently, it was lost amid the messy budget fight that briefly shut down state government. Rep. Ellie Espling, the assistant House Republican leader from New Gloucester, submitted a bill last December to create a joint select committee of lawmakers solely for the opioid crisis. It would be a strong message, she figured. But that effort was scrapped and replaced by another task force created only about eight months after a previous task force completed its final report and offered recommendations – many of which have been ignored. So the bills went through the normal legislative process. Most that dealt with the opioid crisis were referred to the Health and Human Services Committee. Rep. Patricia Hymanson, D-York, the House chairwoman of that committee, said some bills inspired robust discussion but in the end failed to earn enough bipartisan support. Like Vachon, she was disappointed about what was accomplished. Vachon’s bill to increase funding for treatment – $6.6 million for each of the next two years – would have served an estimated 1,000 people. There is no reliable measure of how many Mainers are in need of treatment, but the Substance Abuse and Mental Health Services Administration has estimated that it could be as many as 25,000 people. “The services we’re talking about here are essential. If not this plan, then what?” said Jeff Austin, representing the Maine Hospital Association. Ann Howgate of Lebanon mourns the loss of her daughter, Kristina Emard, who was 28 years old when she died of an overdose in September 2016. Although there was significant support for Vachon’s bill, the Department of Health and Human Services opposed it. Stephanie Nadeau, MaineCare director, testified that the bill was “unnecessary at this time,” and said the department was doing enough. Last December, then-DHHS Commissioner Mary Mayhew announced that her department had freed up $2.4 million to fund an estimated 350 uninsured people for medication-assisted treatment, either methadone or Suboxone. And in March, as part of a supplemental spending package for the current biennial budget, the state committed $3 million, which triggered a federal contribution of $1.8 million, to create an Opioid Health Home model that could reach another 400 people. It isn’t clear how many patients have been reached by those two investments, but the health homes have not been set up yet. Rather than vote out Vachon’s bill or even send it to the Special Appropriations table to see if funding could be found, lawmakers decided to carry the bill over to the next session. They also carried over another bill by Vachon to create the hub-and-spoke model for treatment that would have a centralized referral center for people seeking treatment to steer them to their best option. Boyce said the biggest barrier for most people struggling with addiction is access to treatment. Her story is like so many others. She was first prescribed OxyContin at age 14 after a surgery. She got hooked and by the time she was 18, was using heroin. Over the next four years, she struggled mightily with addiction, even engaging in drug dealing to support her habit, which led to criminal charges. 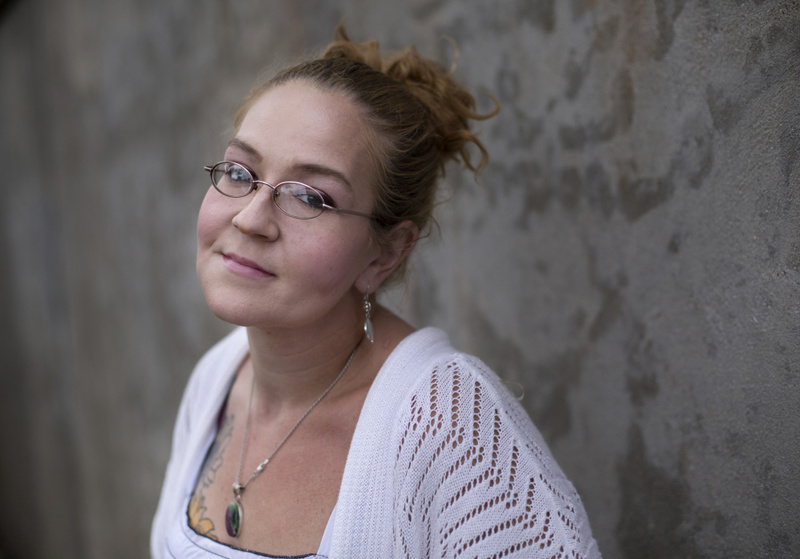 She ended up at the Mercy Recovery Center in Portland, now closed, and started taking Suboxone, but only after other providers denied her treatment. Other states have committed significant new funding, including Vermont and, more recently, Maryland. Maine’s investments have been modest and have largely been offset by cuts elsewhere, particularly within MaineCare. Some states, including Arizona and Florida, have declared states of emergency. Maine – which has seen as steep an increase in deaths as almost every other state over the last three years – has not. Another bill that could improve things for MaineCare patients and providers is in limbo. Sen. David Woodsome, a Republican from Waterboro, proposed increasing the reimbursement for outpatient opioid treatment from $60 to $72. Woodsome originally proposed increasing reimbursement to $80 – the rate before LePage took office and twice decided to cut it – but lawmakers settled on $72 as a compromise. But because a rate increase would have a fiscal impact – in this case about $2 million over the next two years – it was placed on the Special Appropriations table. Lawmakers could still fund it, but given the acrimony over other parts of the budget, that doesn’t appear likely. A similar bill, also sponsored by Woodsome, failed in the 127th Legislature. It wasn’t just the bills that had money attached to them that failed. One of Vachon’s bills, L.D. 1326, had a few components related to harm reduction. It would repeal the provision in state law that makes possession of a hypodermic apparatus a crime. It created a good Samaritan exemption from criminal liability, which means drug users could call 911 if they see an overdose without fear that they might be charged themselves when police arrive. It created statutory language to establish community-based drug overdose prevention programs. And it included modest funding for needle exchange programs ($75,000) and for naloxone kits ($50,000). Needle exchanges are a proven and cost-effective way to reduce the spread of infectious diseases related to injection drug use. Narcan is proven to save lives. Boyce said if there is one thing lawmakers should agree on, it’s saving lives. The bill was debated at length and even amended to strip the funding. LePage vetoed it anyway and there were not enough votes to override his veto. He also vetoed a standalone bill, L.D. 1079, that sought to create a good Samaritan law. Boyce said the governor is wrong. She said she knows two people who were charged after calling in an overdose. LePage, in his veto letter, also appeared to favor treating people suffering from addiction like criminals. He offered no data to support that assertion and treatment experts consistently say that criminal charges are a massive barrier both to treatment and to sustaining long-term recovery. LePage did say he’s committed to investing in getting people into treatment. He talked up a DHHS plan to create new medication-assisted treatment slots for uninsured and promoted the opioid health home model. He said the state is poised to spend $80 million on substance abuse treatment this fiscal year, compared to $49 million in 2008, but didn’t offer specifics about how that funding has been broken down. Rep. Hymanson, who like Vachon serves on the opioid task force, said the investments by the state have certainly been welcome but remain inadequate. She remains frustrated with the lack of cooperation from DHHS to determine how big the problem is or where the gaps are. Boyce said although she’s disheartened by how little was accomplished again by lawmakers, she has a glimmer of hope, too. She said there was a time not long ago when Vachon didn’t take the crisis seriously. Now, she’s as strong an advocate for treatment as any lawmaker.